What is the Difference Among a Power of Attorney, a Health Care Power of Attorney, and a Living Will? If you are thinking about drafting estate planning documents in Florida, you may have heard about both a power of attorney and the more specific health care power of attorney. Whether you are putting plans in place because you recently had children and want to plan for the future, or if you are getting older or are in poor health and want to ensure that your plans are made for your family, you will want to learn more about how both a power of attorney, a health care power of attorney, and a living will can benefit you. Since these terms often are used altogether in conversations about estate planning, it is important to be able to distinguish among them. First, to be clear, a power of attorney and a health care power of attorney are quite different documents, and Florida law actually refers to a health care power of attorney as a “health care surrogate.” Then, the living will is a third type of document. We will say more about each of these and how they are distinct from one another yet equally important in estate planning. General speaking, a power of attorney (often abbreviated simply as a POA), is a document through which one person (known as the principal) gives another person (known as the agent) the ability to make decisions on his or her behalf. Powers of attorney can be “limited,” giving the agent only limited authority in a specific circumstance, or “general,” giving the agent very broad authority. When someone creates a “durable” power of attorney, this means that the agent’s ability to make decisions for the principal remains in effect even if the agent becomes incapacitated. When someone refers to a power of attorney in general, they are typically referring to a document that gives the agent the ability to make financial decisions on behalf of the principal. However, when a principal gives an agent the ability to make decisions about his or her healthcare in the event that she becomes incapacitated, then this is known as a health care power of attorney or a health care surrogate. In other words, if a person cannot make healthcare decisions for herself due to incapacitation, then the health care surrogate makes these decisions for that person. For example, a health care surrogate might make a decision with regard to a particular surgery or whether to keep the person on life support. Whether a person has the ability to make financial or health care decisions, it is extremely important to select a person for these roles who is trusted and who knows your wishes. Both the financial power of attorney and the health care surrogate designations do not specify the principal’s precise wishes in them with regard to certain scenarios, but instead give the agent the power to make these decisions. Unlike a power of attorney that grants an agent the ability to make decisions on behalf of the principal, a living will outlines a person’s specific wishes in the event that she or he becomes incapacitated and cannot make those decisions for herself. It can be either oral or written, but it clarifies what type of medical care the person wants (or does not want). As you can see, there are similarities and differences among a financial power of attorney, a health care surrogate designation, and a living will. A person can have all three of these, and it is important to speak with a Tampa estate planning attorney about how these materials can benefit you. Contact Bubley & Bubley, P.A. 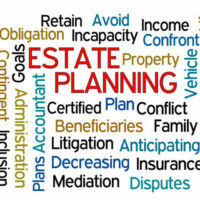 to learn more about how we assist families with estate planning in Florida.